Red Zyme Granules are prepared by mixing the right amount of vegetable and animal products under scientifically managed conditions. These have numerous nutrients which support the growth of various crops such as cotton, jute, sugarcane and others. An innovation in the biotechnology domain, these zyme granules ensure improved inoculation in the field. The Red Zyme Granules are eco-friendly, non-hazardous and blend well with most of the other granular pesticides. Field Crops: Rice, Wheat etc. 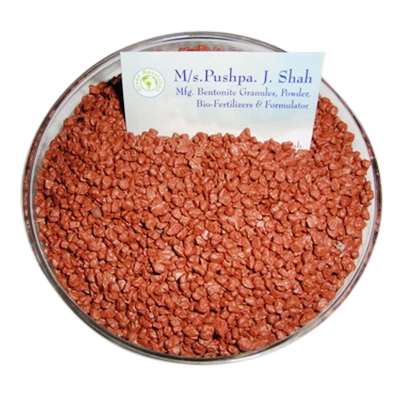 Pulses: Red gram, Chick pea, Soybean etc. Horticultural Crops: Mango, Peach, Apple, Banana etc. Vegetables: Onion, Peas, Potato, Sweet potato, Chilies, Beans etc.